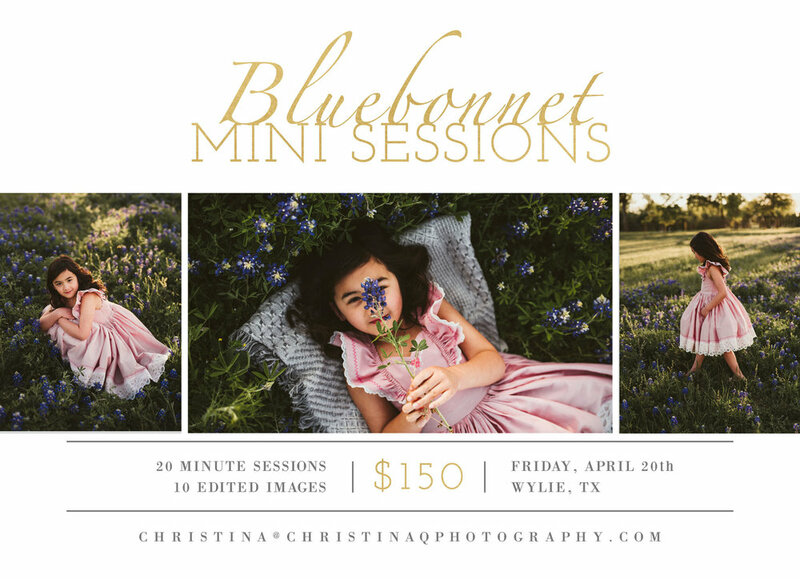 Bluebonnet Mini Sessions will take place Sunday 4/15 in Richardson and Friday 4/20 in Wylie! 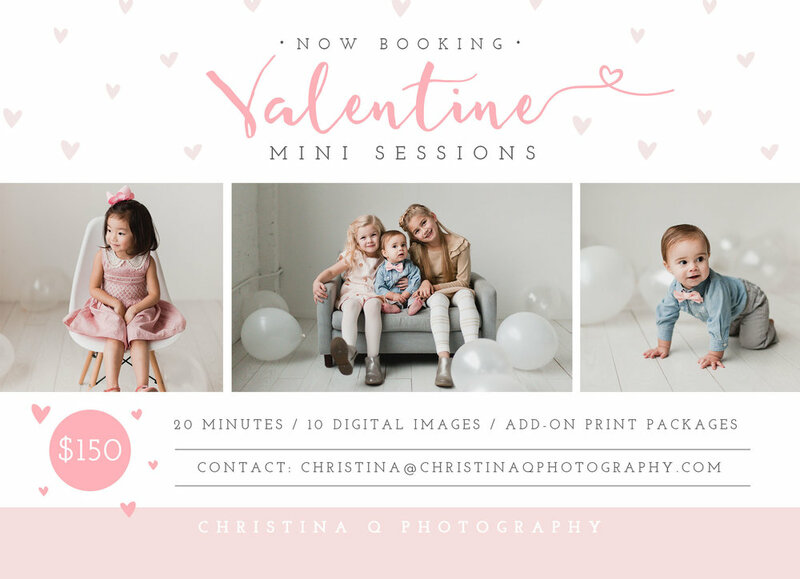 Valentine Mini Sessions are now available! 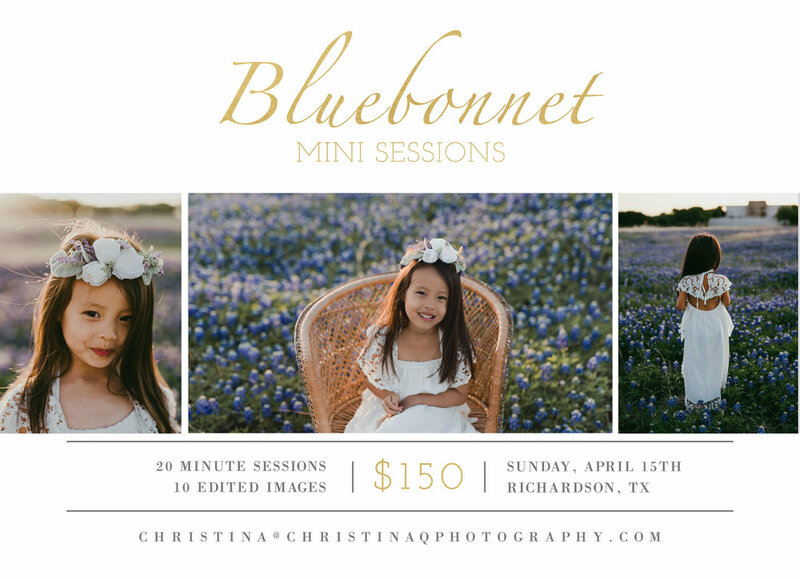 Great for kids, families, couples and even singles, for up to 4 people per session. Shoot will take place at The Lumen Room in Dallas.